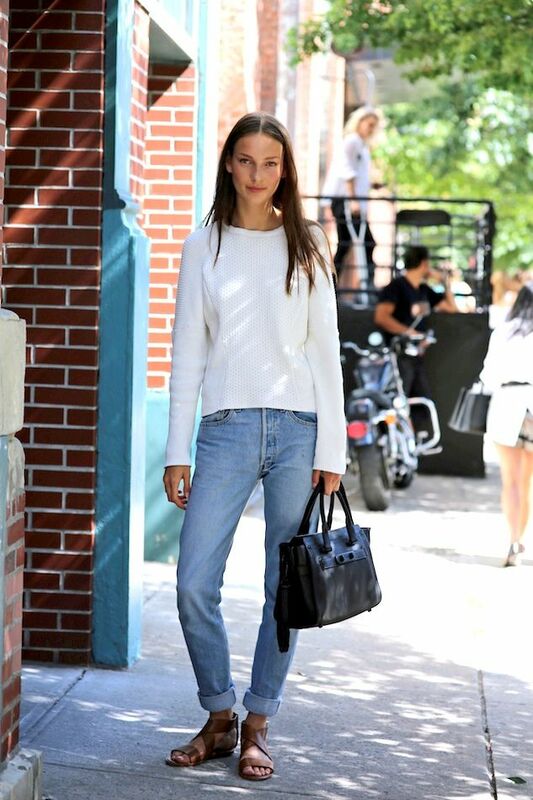 Great model-off-duty look from beauty Julia Bergshoeff. While she was shot wearing this in NYC, the white knit, slouchy boyfriend jeans and classic tan sandals sum up the perfect look for winter in Los Angeles. I'll be keeping this in mind for spring as well!